Aiming to narrow Amazon.com 's (NASDAQ: AMZN) technology advantage, Walmart (NYSE: WMT) is teaming up with Alphabet s (NASDAQ: GOOG) (NASDAQ: GOOGL) Google to enable voice ordering for the retail giant's grocery shoppers. Walmart said in a blog post that, starting this month, customers would be able to grocery shop through the Google Assistant by saying, "Hey, Google, talk to Walmart." Walmart will use shoppers' order orders to guide requests so when they ask for milk, for example, they will receive the milk they usually order, rather than having to specify what size and brand they want. Shoppers can add items to their carts over the course of the week if they think of what they need, and their shopping list will be ready when they decide to make their online order for eventual curbside pickup. 7, Walmart joined Google Express, the search giant's same-day delivery service that also partners with popular stores like Costco and Target . That service also allowed voice shopping. Walmart left Google Express in January, and speculation at the time was that Walmart was developing its own voice-ordering system. It's possible that this week's announcement is Walmart's answer to that speculation. Similarly, Walmart forged a strategic partnership with Microsoft Amazon's biggest cloud competitor, to challenge the e-commerce leader in both technology and retail in areas like cashier-free stores similar to Amazon Go. Is voice shopping the future? Voice shopping is still in its infancy, though close to half of Americans now own smart speakers. OC&C Consulting Group projects ramping up from just $ 2 billion in 2017 to $ 40 billion by 2022, and says that 62% of Americans who own a smart speaker have used it to buy groceries or other such items. If voice shopping will indeed make up $ 40 billion or more in U.S. retail sales in just a few years, it's incumbent on Walmart to compete in that arena. The company is the country's (and the world's) biggest retailer, and captures almost 10% of all non-automotive retail spending in the U.S. But there are obstacles to mass adoption of voice shopping that Walmart needs to account for. For instance, it's difficult for consumers to do things like compare prices or read reviews through a voice assistant. That means shoppers need to trust the voice technology and the assistant with their orders because they are giving up more control over what they order than they would by using a screen interface like a smartphone or computer. Avionos, a management consulting firm, found that just 1% of consumers surveyed said they would choose to make an intentional purchase over other options. That's a strong indication that voice as a shopping platform still has a long way to go. 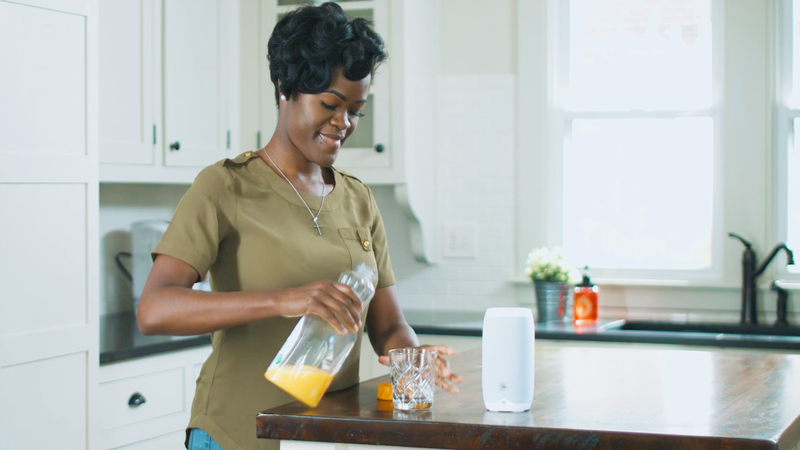 Voice technology and interfaces are likely to improve over the coming years, making shopping with a smart speaker even easier. But it's unclear if the format will ever go mainstream in the way that e-commerce has. Still, it's crucial for a retailer the size of Walmart, which has leaned on its grocery advantage in the past, to be at the forefront of new shopping channels, and strengthening its partnership with Google is a smart move as the company seeks to defend itself from Amazon.